Photography, visual storytelling, illustration and outdoor publications by freelancer Sander van der Werf. I combine my passion for photography with my love for the mountains and outdoor sports. I photograph with a full-frame mirrorless Sony and work with Apple . 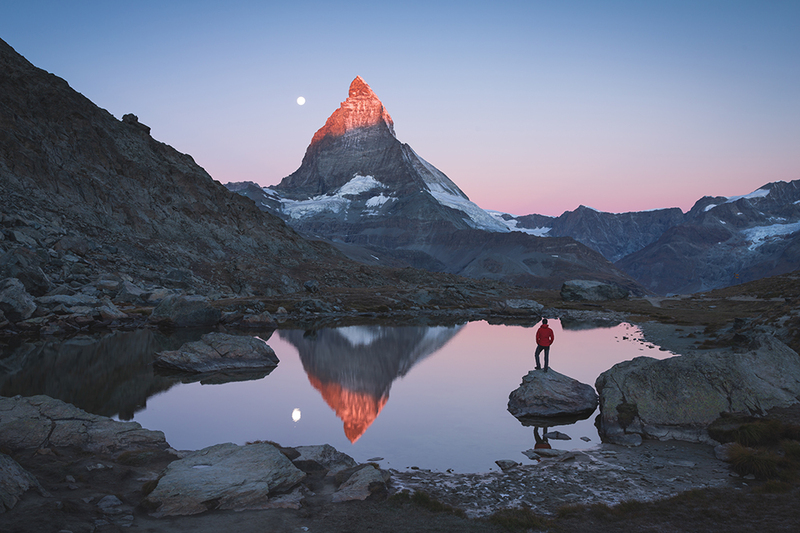 Looking at the moon setting at a beautiful dawn near the Matterhorn from the Riffelsee. 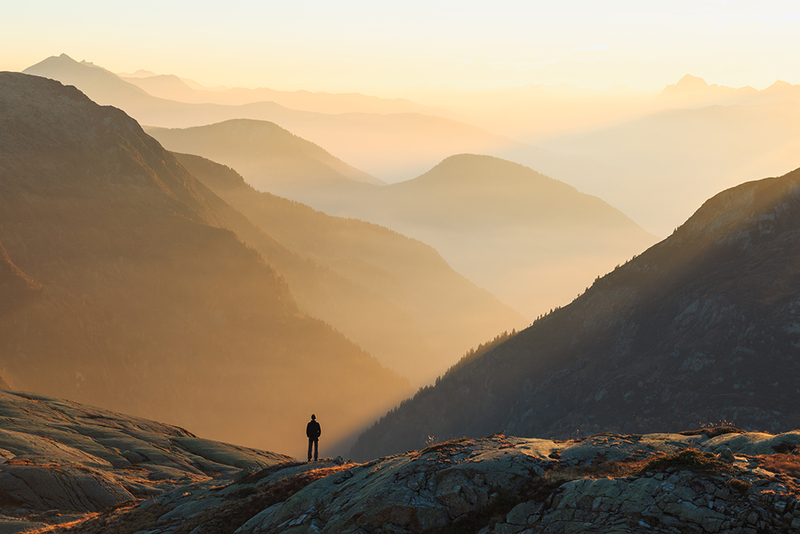 Man looking at the coulorful layers of mountains during sunset. 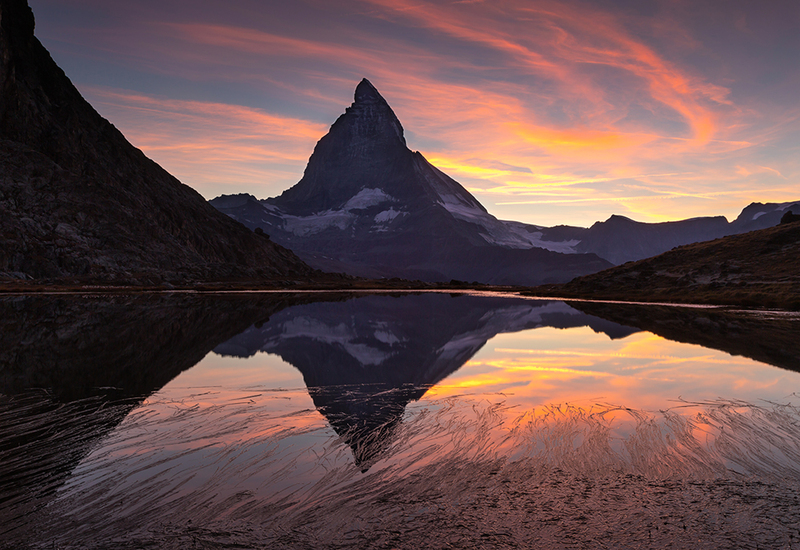 Matterhorn reflected in the Riffelsee during sunset. 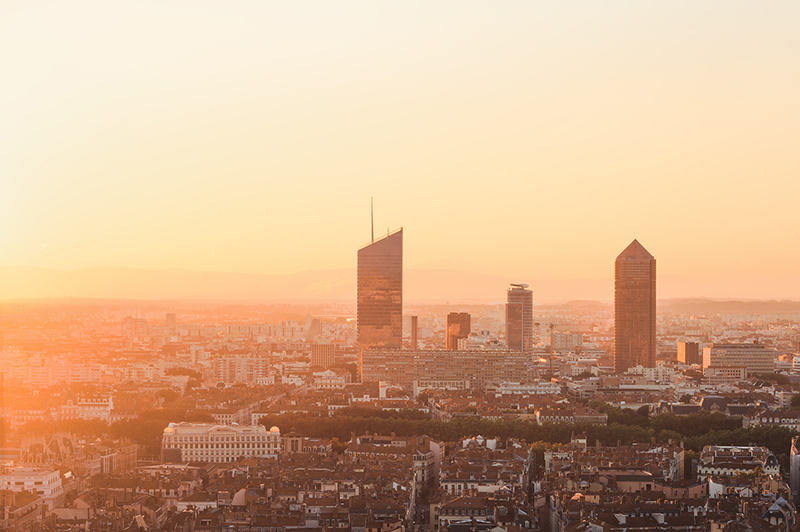 Cinematic summers sunrise over Part Dieu, Lyon. Hi, I'm Sander van der Werf. I studied illustration, and a year graphic design, at Art Academy Minerva in Groningen, the Netherlands. As a big outdoors enthusiast, over the years I started to focus more on outdoor photography and less on making illustrations and wallpaintings. Consequently, I became specialized in outdoor-, travel-, landscape photography. My photo's and articles have been published magazines like National Geographic Magazine (Dutch edition), special ‘Outdoor & Adventure’ in National Geographic Traveler (Dutch edition), Op Pad, Bergen Magazine, Columbus Magazine, Noorderland, Outdoor Magazine, Limits and Hoogtelijn. Favorite subjects are landscapes, hiking, camping, alpinism and winter adventure. I occasionally write a blog about Sweden for Op Pad magazine. For the ‘Adventure’ serie of publisher Dominicus I made the hiking guide ‘Trekking in Zweden’. Usually I work freelance, and photograph, shoot footage and tell visual stories for various Stock agencies. However, I'm obviously always interested in photography assignments. In- and outdoor! I photograph and film with full frame Canon equipement and work with Apple, Lightroom CC and Photoshop CC. Camera bags by Peak Design and ClikElite together with a Redged TSC-424 tripod, a Glidetrack SD slider and LEE ND filters complement my gear. Most of my photo's are available for print or at the (stockphoto) agencies shown left. If you are interested in licensing an image directly from me, please feel free to contact me, so we discuss the possibilities. If you are looking for a big image on your wall, printing on high quality canvas or dibond is a nice option. You can order the prints directly with me. Simply use the contact form, Skype or call me. All prices include VAT (BTW) and shipping costs in the Netherlands. Copyright 2010-2018 © Sander van der Werf. All rights reserved. All images are protected under international copyright laws and may not be downloaded, reproduced, copied or transmitted without the written permission of Sander van der Werf. Copying the copyrighted design and content on this website will be in violation of international copyright law.